Spice of Life – Hot! 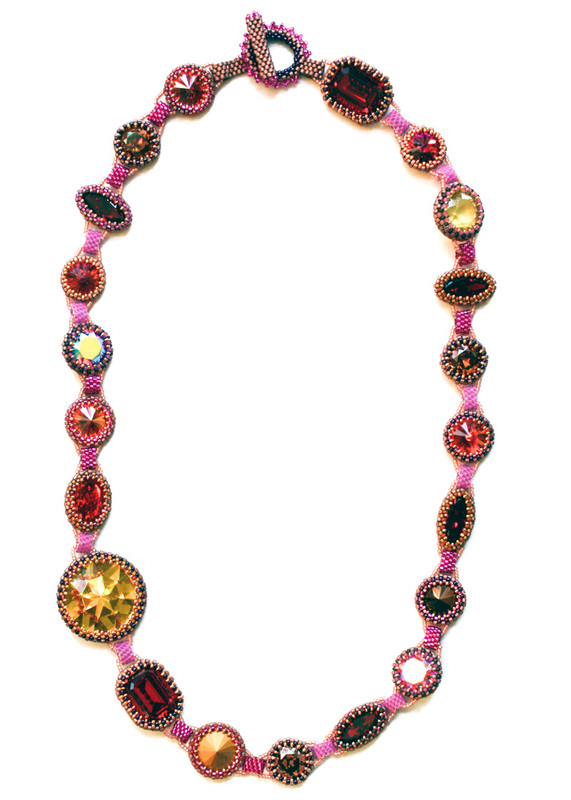 A necklace from the Spice of Life Series, this beautifully beaded piece is long and elegant. The hot colors range from pale red-violet to red to a soft muted yellow.